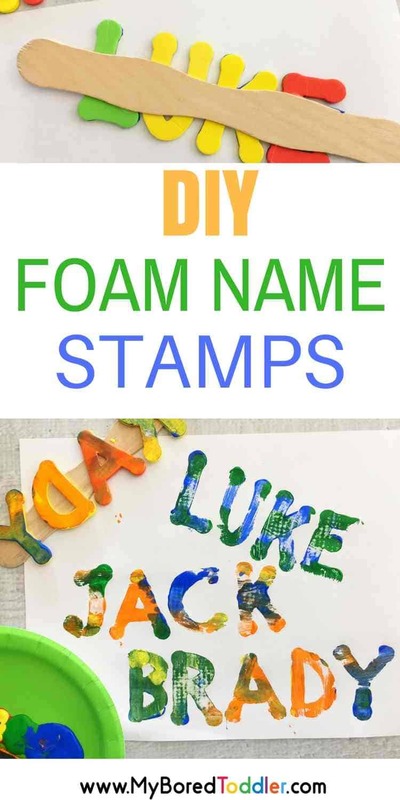 You will LOVE these DIY foam name stamps. I have always loved using name stamps and there are some wonderful ones out there that you can buy. 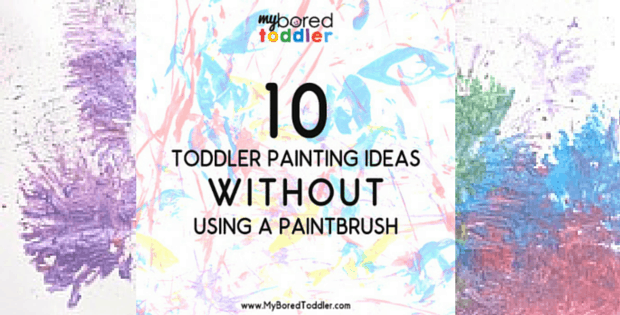 While these are all great, it’s much cheaper (and more fun) to make your own. 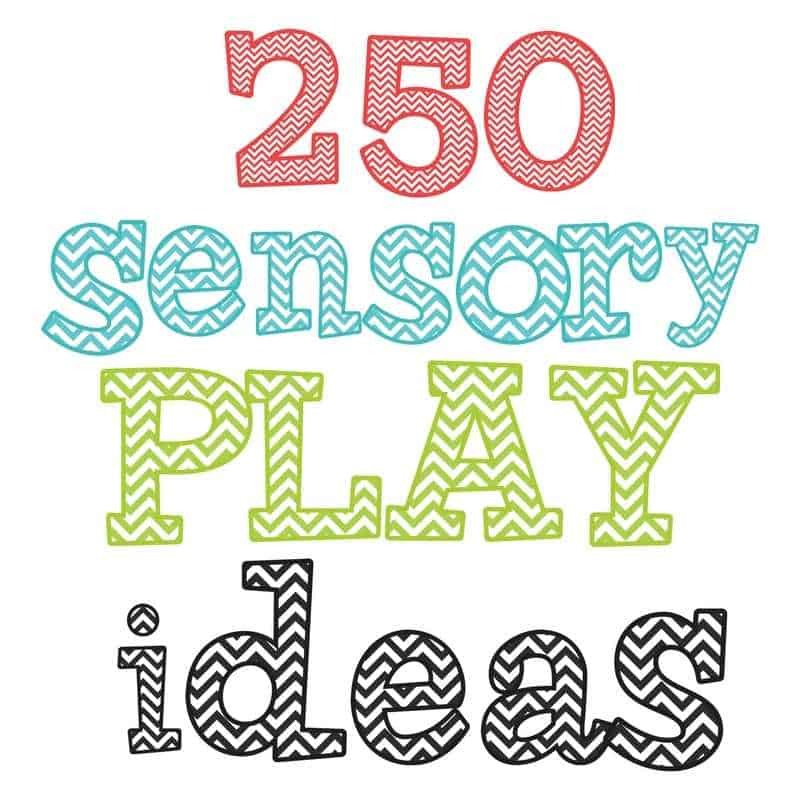 These are great for older toddlers and preschoolers as they promote name recognition. 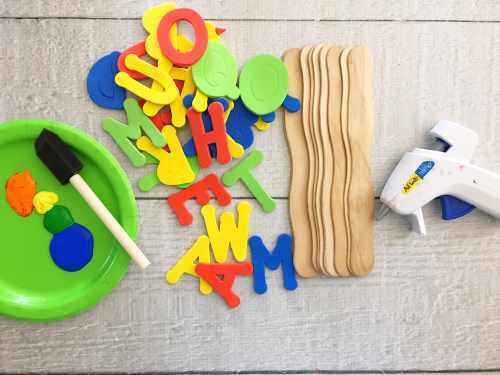 For younger toddlers you could start with simple letter stamps (like the first letter of their name) and then move up to their whole name. 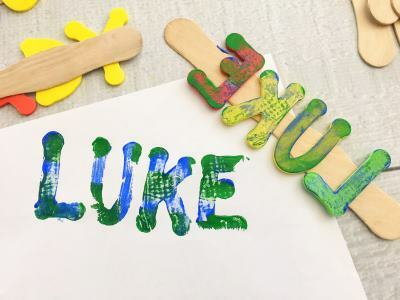 These DIY foam name stamps are great to use in conjunction with our ABC toddler activities. 2″ foam letters – if you don’t want to use glue then you can use adhesive foam letters instead. 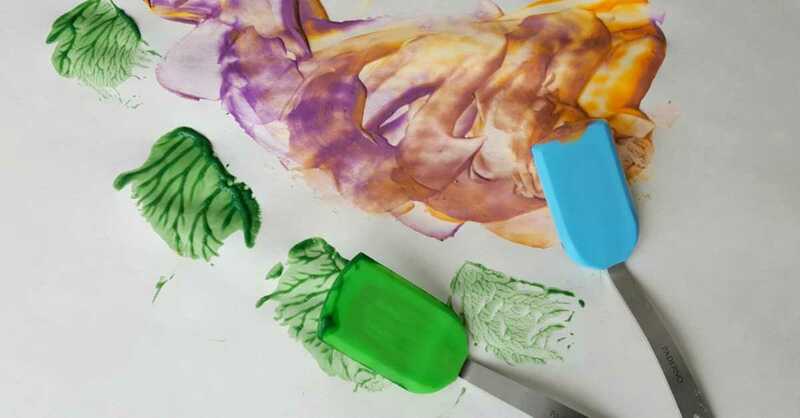 Making these stamps is obviously an adult job when working with toddlers, although if you have older children they will love having a go at this themselves. The stamping is where the real fun begins! 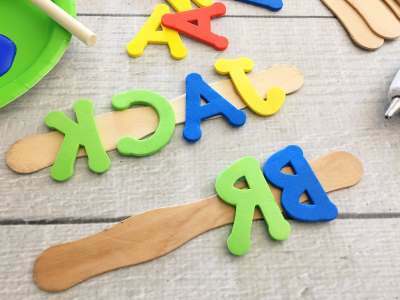 Glue the letters of your child’s name onto the craft sticks. 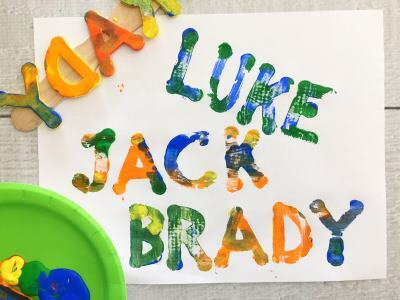 Remember that they will need to be glued on backwards and that the last letter will go on first so that when you turn the stamp over the letters will be correct.
. Squirt a small about of each color paint onto a paper plate and use your foam paint brush to paint the letters on the craft stick using brightly colored craft paints. 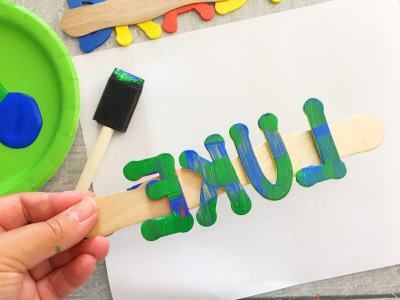 Stamp your names onto your white paper by holding each end of the craft stick and lightly pressing down on the letters, carefully lift the foam stamper back off the paper. If you do this activity, make sure you pop into our Facebook Group and share the pics! 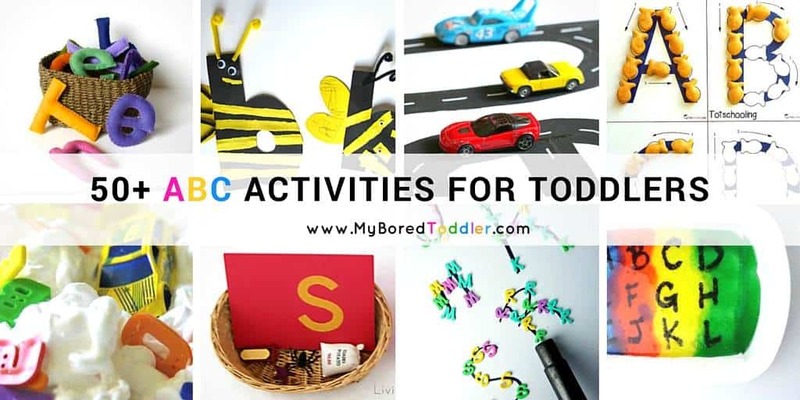 If youPwant to keep your toddler busy makes sure you subscribe to our weekly newsletter and follow us on Facebook, Twitter, Instagram and Pinterest.